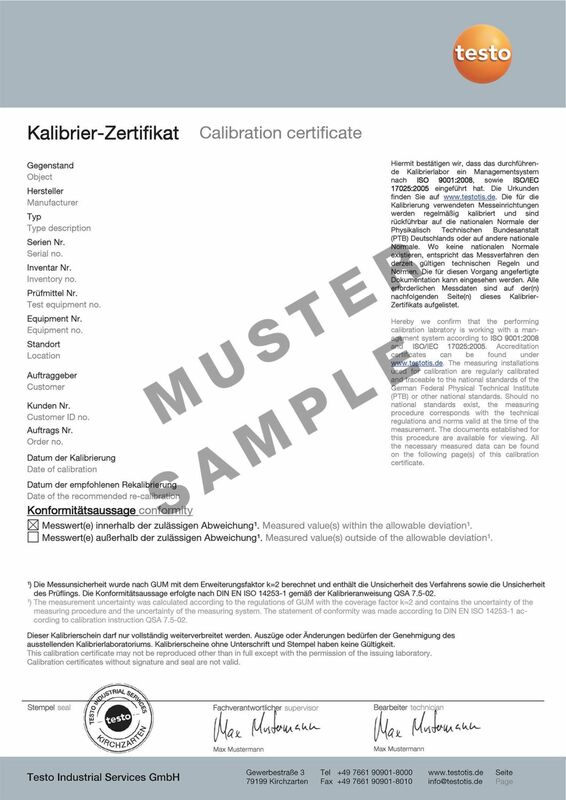 This certificate documents the ISO calibration of your infrared measuring instrument. Calibration is carried out at the measuring points +60, +120 and +180 °C. ISO calibration certificate for temperature (infrared) with 3 measuring points +60 / +120/ +180 °C.